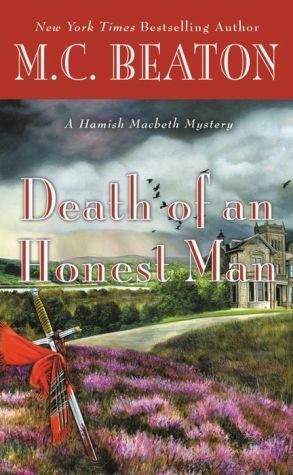 I love Hamish Macbeth, but I must admit I am a little tired of the pace of these books. Ms. Beaton hurries from one thing to another to another with no lead-up or prepatation. I realize that I don't require any more explanations about Hamish and his behaviour as I've been reading and loving these books from the very first one, but a little preparation and set up before changes in plot, scenery or people would be nice. I always feel a little out of breath when I close the book. And really! Chief Inspector Blair! Let's get rid of this guy. How he can keep coming back after his drunken episodes and his breeches of protocol is beyond me. What I did enjoy about this book, other than wonderful Hamish himself, is the direct references to the "feyness" of the Scottish people. They are a superstitious lot, and that comes out endearingly in all the books. Yes, I will continue to read Hamish. The thought of giving him up leaves me with a sense of loss.